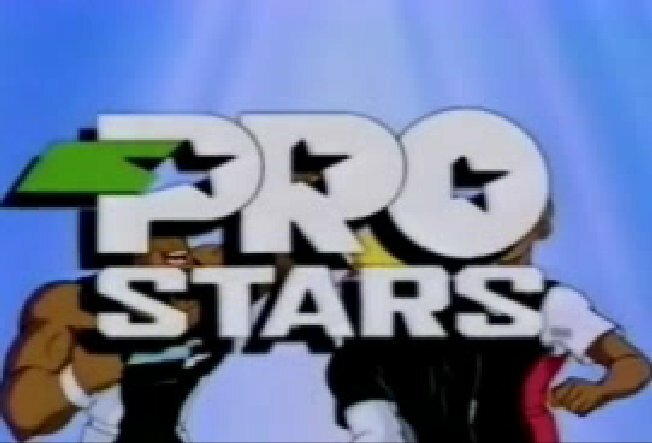 ProStars was a Saturday morning cartoon that featured Michael Jordan, Bo Jackson and Wayne Gretzky fighting crime using their abilities to fight crime. At the time, these three represented the pinnacle of their respective careers. While their characters would do some of their signature moves in the cartoon, none of their animated selves were voiced by the actual sports star. There were, however, short live action segments before the animated portions that showed the real characters mostly answered kids questions. The show was heavily geared toward younger children. In fact, they received their missions from children each episode. The subject matter dealt with bad things that could happen to children or environmental issues. Michael Jordan, voiced by Dorian Harewood, was the leader. In addition to his basketball talents he was good with contraptions and used a lot of math. (...probably trying to encourage more kids to stay in school.) Bo Jackson, voiced by Dave Fennoy, was the team muscle and used both his baseball and football skills. Sometimes his strength seemed superhuman. Wayne Gretsky's character was generally the comic relief.